Chair in chromed or painted steel or stained ash wood, 4 legs (also swivel version) or skid frame. Shell in homo-copolymer, 'X' on the seat in contrast or in color (wood or plastic material). Trolley for moving chair available. “Y” armchair has soft and moderate lines. Its shape, modern and with vintage recalls, allows a great comfort and a wonderful versatility, that makes it perfect to fit both in public and private spaces. “Y” is available in the outdoor version, stackable, and in the indoor one, with completely upholstered shell or with only a cushion. “Y” is presented with steel, aluminium or wood frame, available with different declinations. Here Virna in the chair version. 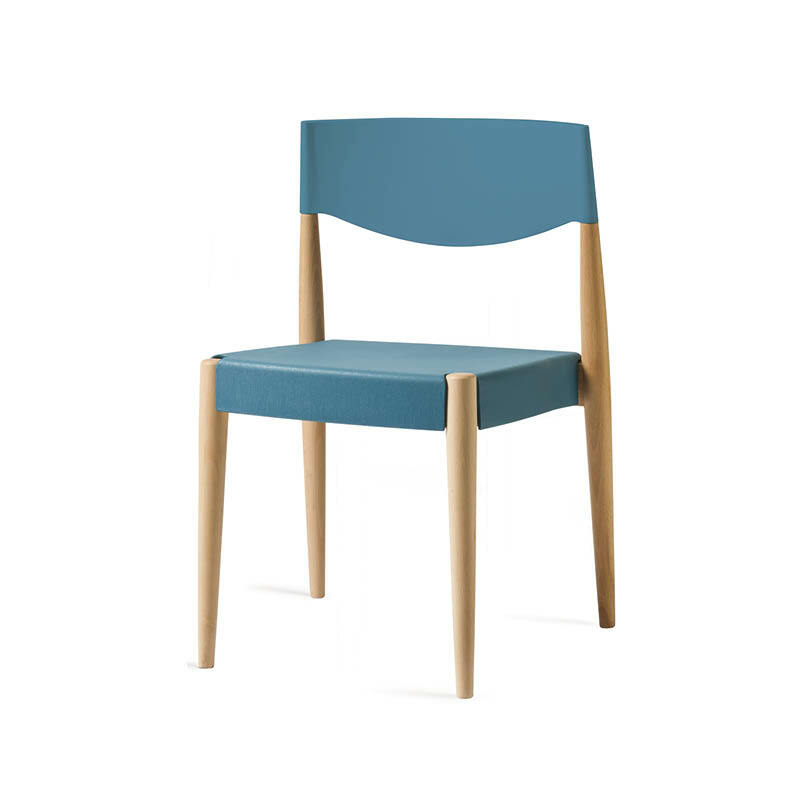 Beech wood frame available in different finishes, seat and back made in polypropylene in a large range of colors. Virna can also have seat and back upholstered. 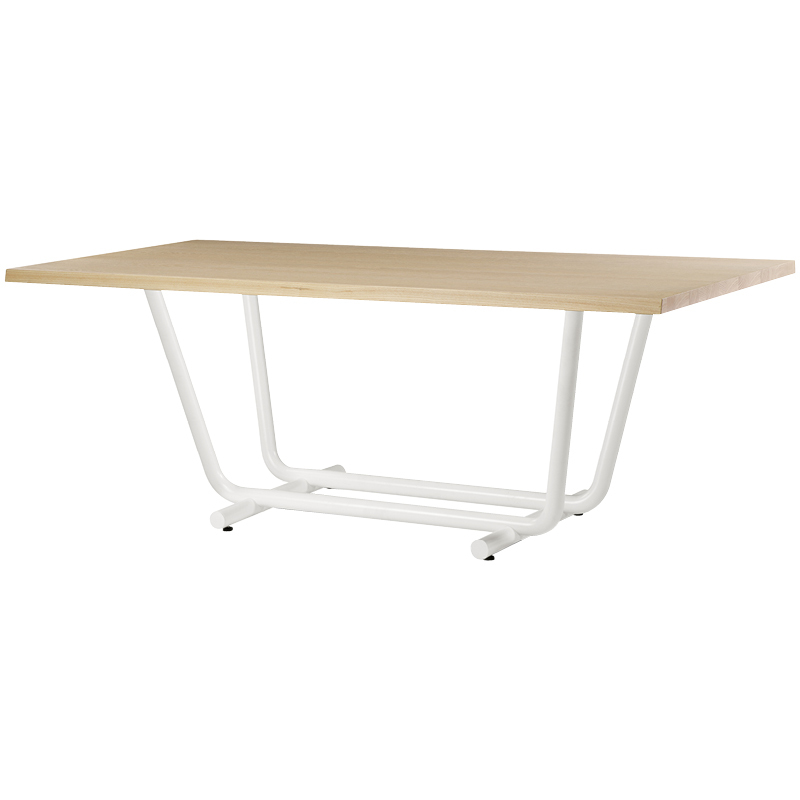 In this table the warm materiality of the wood top is in contrast with the frame composed from two curved tube and linked at the bottom with two metal plates. The base rises as a harmonious sign supporting the top, available in oak natural or dark stained. It is designed to ensure maximum freedom of use, an amplitude of interpretation thanks also to the two heights, h.750 as dining table and h.1050 as poseur table, for a more informal and dynamic use. 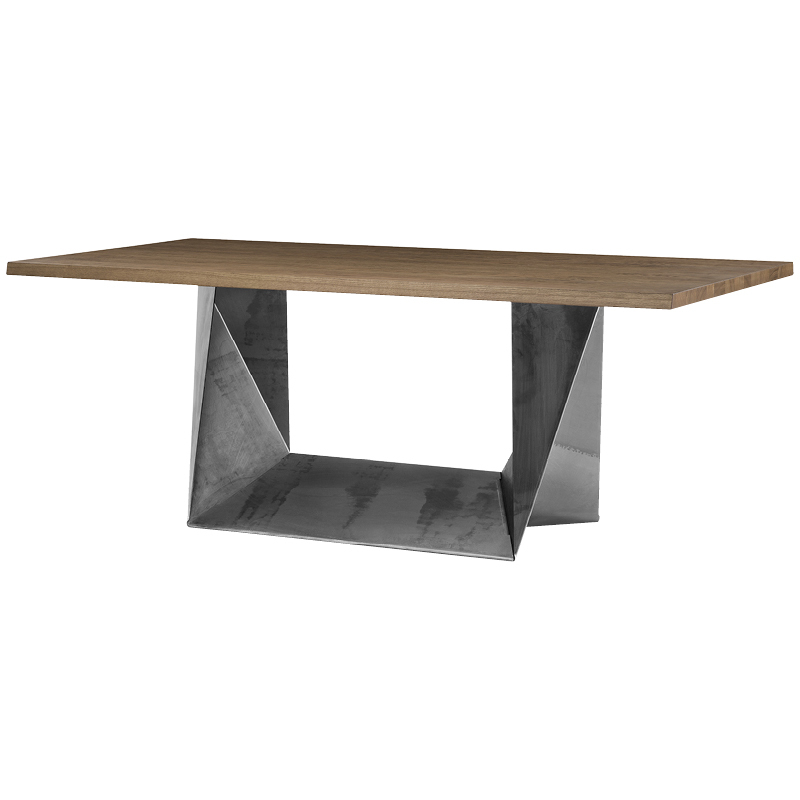 Like a steel origami the strong and geometric frame of the base, hold the sober and elegant wooden top. In natural or dark finish, it is reinterpreted in a modern way by the essential volume of the structure, available in different sizes and finishes. Woodbridge is a tables collection in wood, strong and poetic. The essence of the project is in the frame, composed by linked elegant elements in turned wood that recalls oriental pictograms. The table is available both in the traditional h. 750 and in the more contemporary h. 1050 for the conviviality on the stool.